Lamborghini has collaborated with a group of researchers from MIT to create a conceptual electric sports car, which has a carbon fibre shell that is able to repair any cracks or damages by itself. 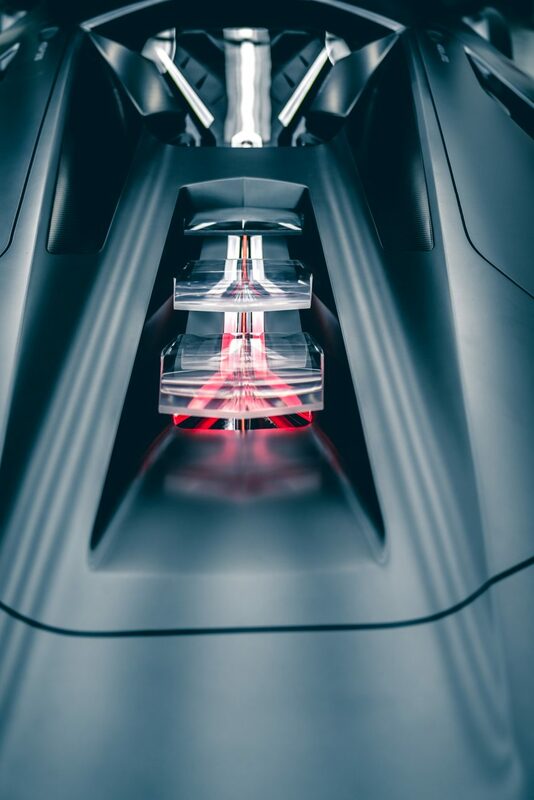 Meaning “third millennium” in Italian, the Terzo Millennio concept is designed to offer a vision into the future of sports car design. Composed of a carbon fibre structure, the car has the ability to “self-heal” and can conduct its own health checks using sensors to detect any cracks and damages in its substructure. 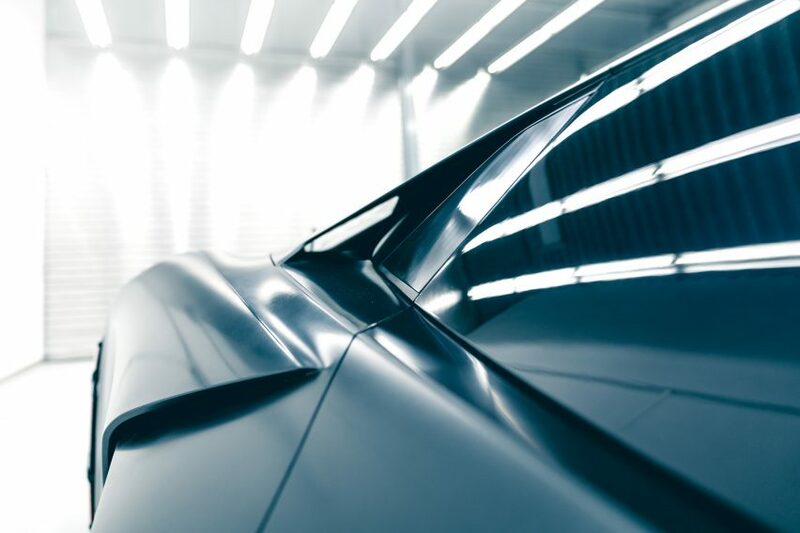 If a small crack is detected, a self-repairing process begins filling in the fissure with nanotubes – preventing the cracks from spreading any further into the car’s structure. “Collaborating with MIT for our research and development department is an exceptional opportunity to do what Lamborghini has always been very good at – rewriting the rules on super sports cars,” said Stefano Domenicali, manager and CEO of Lamborghini. In a bid to overcome the limits of today’s technology, the all-electric, driverless concept car is powered by supercapacitors rather than conventional batteries. By incorporating this kind of energy storage system, the vehicle can be rapidly charged and is able to hold more power than a battery. 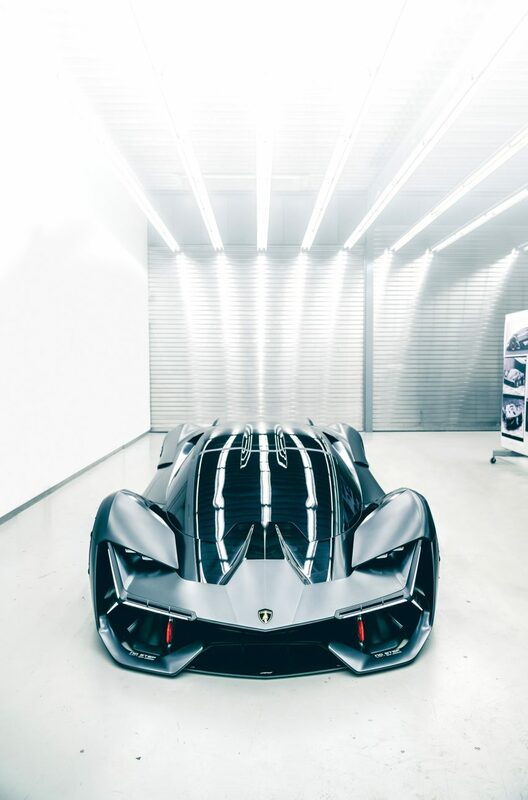 Speaking to CNN, Mauricio Reggiani – Lamborghini’s head of research and development – said that even the highest quality regular batteries would not function in a supercar, due to their large size and weight. But as the supercapacitors are made using carbon, they are malleable enough to be formed into the car’s body panels. This makes the vehicle lighter in weight, while also enabling the whole car body to be used as an energy storage system. “We are inspired by embracing what is impossible today to craft the realities of tomorrow; Lamborghini must always create the dreams of the next generation,” said Domenicali. Each of the car’s wheels includes its own integrated electric engine, providing the full four-wheel-drive experience that the Italian luxury car manufacturer is known for. 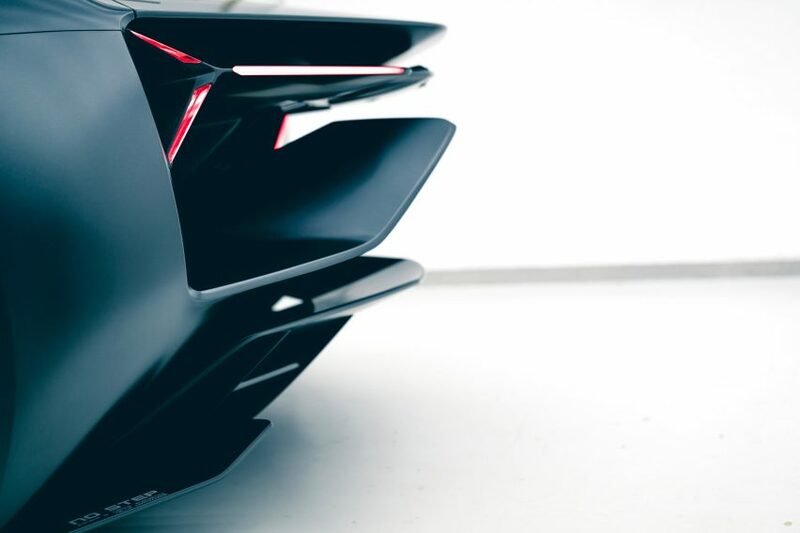 Freed from a bulky standard engine, the designers and engineers were also given more freedom to use these futuristic technologies, whilst retaining Lamborghini’s signature visual identity. 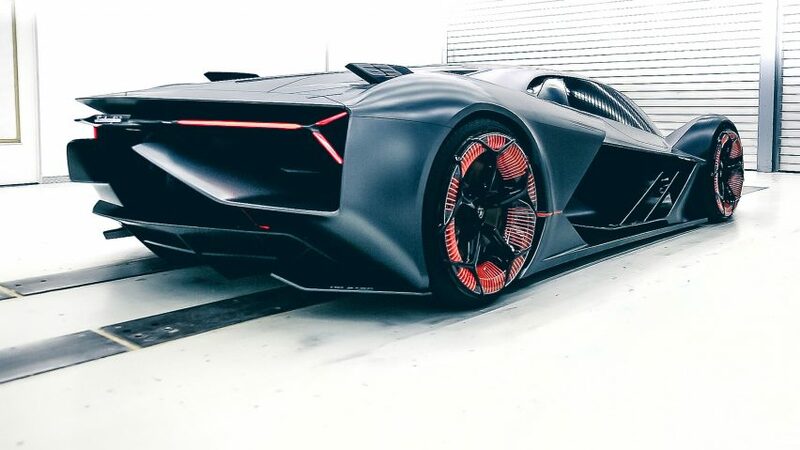 “An example of a very strong statement is the evolution and further development of the Lamborghini typical Y-signature in the front and rear lights,” said the company. “[The design is] based on an entirely new architecture, totally dedicated to perfecting airflow,” explained Lamborghini. Be the first to comment on "Lamborghini teams up with MIT researchers to create “self-healing” sports car"